Give your home a new look for the New Year With 2013 a distant memory, around the UK we are all turning our attention to the year ahead and thinking about the different ways we can update our living spaces. But what are the big trends for 2014, and what simple changes can help to give your home a completely new look and feel? The great thing about interior design is that you don't have to overhaul an entire space in order to give it a revamp - you just need to make small enhancements that will really spruce up a room. How about a change of cushions, a switching of bed linen or the introduction of new accessories? The start of a new year is not complete without the over whelming number of trends for the 12 months ahead - and this is especially true when it comes to interior design and more specifically, colours. Spring Summer 2014 is nothing if not diverse mixing petrol blues with classic and sophisticated neutrals or introducing elegant floral prints with contemporary colour pallets such as Ochre or Sage Green. A seasonal favourite is the fusion of contemporary and vintage, overlaying bold colours with delicate lace a particular trend for cushions. Versatility is a key word for 2014, with everyone wanting the option to mix and match at various times of the year, giving living spaces different looks as the seasons change. The easiest way to do this is by making small changes that have a big impact - and the best way to do this is by using interchangeable bed and bathroom linens and home accessories. 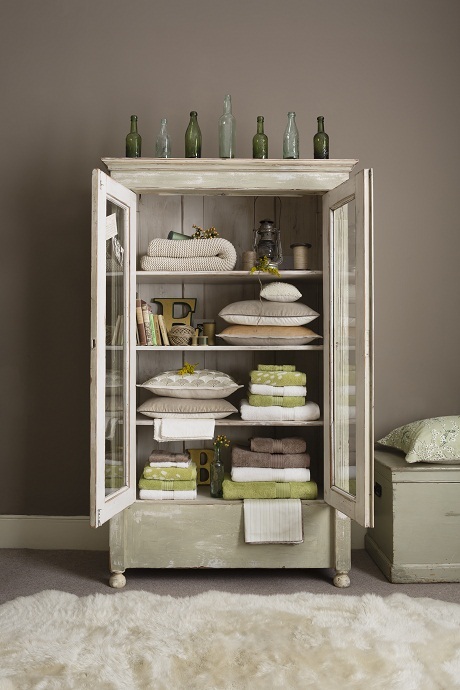 You have a summer and winter wardrobe, why not the same for your bedroom and bathroom? It's amazing the difference a change of lampshade can make, or the use of differently shaped cushions. By having a variety of styles in mind, you can make sure you're well prepared to give your room a mini makeover at any point of the year. The beginning of a new year represents a time of adaptation - but you can make sure you're able to ring the changes at any point of the year by thinking about the little alterations in your home that can make a huge difference. Lucy Ackroyd, Christy Design Manager.